Great take on the Arthurian Legend. 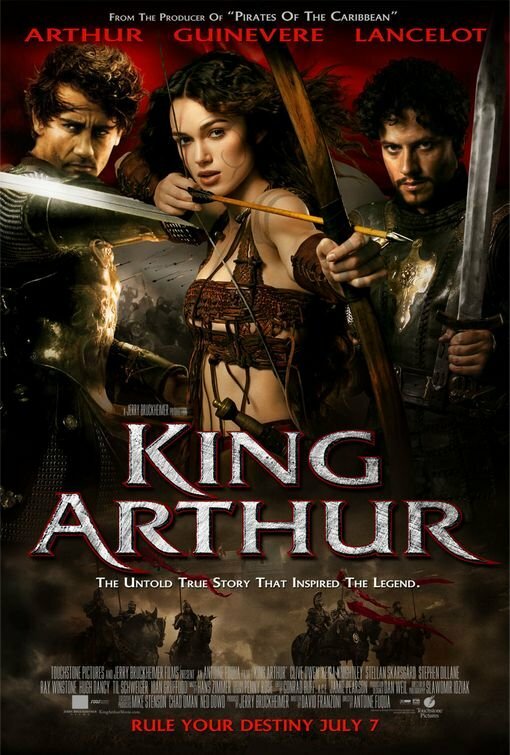 I am no expert on the legends of King Arthur, Excalibur, Guinevere, Lancelot etc., so I am not able to say anything about how true this movie is to the original tales. However I do find this tale interesting and it does make for a good movie. Clive Owen does a fairly good stiff Arthur. The performance of the rest of the knights is also acceptable, but nothing fancy. I would have expected more of Ioan Gruffudd, but he somehow did not strike me as anything special in this move. I have always liked the big strong silent characters like Dagonet in this movie, who is played by Ray Stevenson. He is very suited for parts like this and does a good job. Although I am not very fond of Keira Knightley, I must admit that she does a convincing job playing a savage girl in this movie. The sword fights, battles, tactics, setting etc. are all very convincing and I have been equally impressed every time I have seen this movie. If you like movies set in the Dark Ages or knights and sword fights, this is a movie for you.